This is a 3 year renewal for Individual members. This is for an individual member at large who is currently a member and wants to renew for a lifetime. 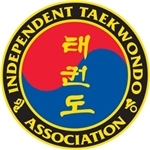 Authorizes the use of the ITA logo in advertising, literature, business cards, school signs, websites, etc..
ITA School Charter Membership is open to School Owners. When you join as a Charter you will receive a FREE gift of 2 beautiful books on TaeKwonDo Forms.